It is with considerable pride that we can announce the first global implementation of our mobile tracking solution for Lycamobile, the world's largest MVNO. Lycamobile were looking for a remote workforce management solution that would provide management with visibility of their field sales staff, across currently 16 countries of operation - improving business intelligence / productivity levels, and ultimately increase their bottom-line. 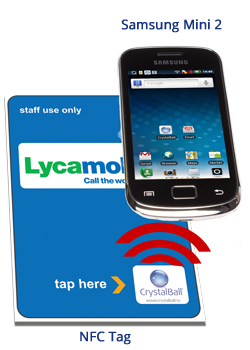 The initial pilot ran in the UK early this year from which Mobile Track Lite and Mobile NFC were developed, specifically to meet Lycamobile's requirements. Mobile Track Lite features include regular positional updates, vehicle speed data whilst in journey, handset battery levels and more. Also, as part of the pilot we integrated NFC (Near Field Communication) technology into the platform to utilise coded NFC tags across sites of operation. This accurately records staff site visits through time and attendance reports and also provides frequency of visit, to support sales and marketing operations. The resulting combination of NFC and GPS technologies ensures that clear and precise location information is gathered both inside and away from buildings - delivering highly accurate visibility of field based staff at all times wherever they are. Both Mobile Track Lite and Mobile NFC are available from 8 July 2013. 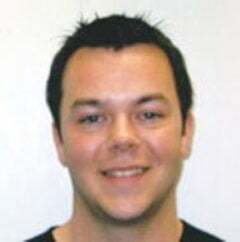 Adam is part of the Digital Marketing Team at Crystal Ball. He frequently blogs about the latest news and tips for running a productive and efficient mobile workforce.